Laughing Pig Theatre’s next event is an educational workshop: Improvisation for Dialogue, set for Friday, February 9, 7-9pm at the Mesa Arts Center. In 2-hours, Ada McCartney will lead our attendees though different theatre techniques designed to facilitate crucial conversations. If you’re a teacher, community organizer, team leader, or have ever worked in a group with other people, you know it’s essential for everyone to work together. We’ve all been there. We’ve all experienced how difficult it is to move forward when the team is out of sync. Or worse: when that big pink elephant appears, and no one in the room knows how to talk about it. These new tools may be just what you need to shake-up your group dynamic, relate to each other compassionately, and attain results. Adapting techniques used in Forum Theatre and the Theatre of the Oppressed, drawing on the works of Michael Rhod and Augusto Boal, Ada will teach participants to use theatre to create a common language and a safe space to discuss difficult issues,and explore potential solutions. In the process we’ll have a little fun, make some new friends, and continue to build our Laughing Pig Theatre community. Introductions and Warm-up will get you comfortable with each other and the Acting Studio. Trust Building exercises to help move past the awkwardness of meeting new people, raise the community issues you want to tackle, and build connections with your peers for a productive workshop. Bridging exercises will bring your issues and imagination together as we use theatre games to explore more deeply what matters and why. Improv Scene Work ties-in all that you’ve learned. We will improvise scenes in small and large groups, and discuss how we can use these tools to drive change in our own communities. An Open Mind will serve you best as we’ll be working with new ideas and techniques, and discussing potentially sensitive issues. Important Issues that you face in your communities, are interested in exploring, and want to find new ways to positively address. Comfortable Clothes and Shoes, as we’ll be on our feet moving, bending, and shake-shaking across the Acting Studio. 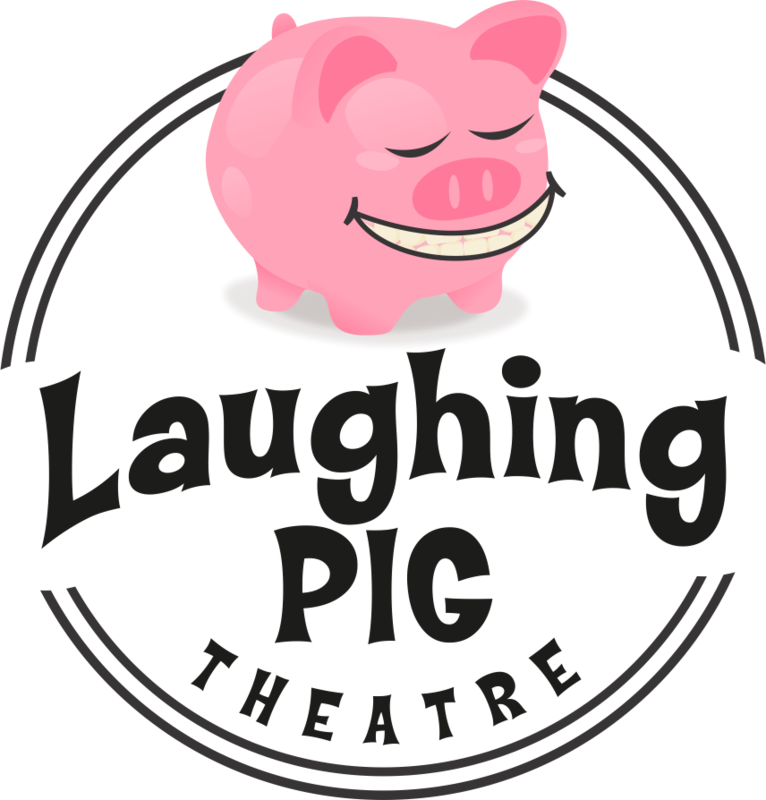 $8 Donation: Laughing Pig Theatre is working to bring you new, exciting, and informative content at a low cost. We want your time, attention, and support most of all. Any financial support you can provide will help us deliver on our endeavors. Best of all: each full-price ticket comes with a Laughing Pig Theatre sticker! A Ticket: walk-ins are welcome, but we only have about 30 seats available. RSVP here to ensure that you have a spot. We can’t wait to see you on February 9, and at all of our future events. If you have any questions feel free to contact us here, or email us here.